Both E. angustifolia and E. purpurea speed healing and reduce inflammation. Four grams, or about a teaspoon, of E. purpurea juice has roughly the same anti-inflammatory effect as 100 milligrams of cortisone. 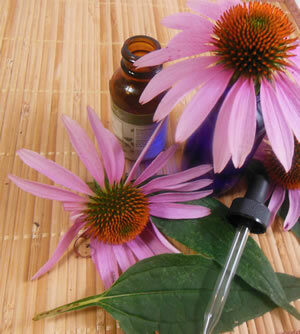 In addition, echinacea-based creams can be used to protect acne-damaged skin against sun damage. Recipe Instructions: Tincture :Take a teaspoon of echinacea tincture to help boost the immune system to guard against infection from burns. In addition, apply a few drops directly to the burned area as an antiseptic.